As illustrated below, many control systems use an open collector transistor to turn something on. Perhaps it is a LED light, a relay or a small motor. However there are other systems which require a common ground connection instead of a common V+ supply connection. The circuit below converts the "sink to ground" current path to a "supply source" power connection. 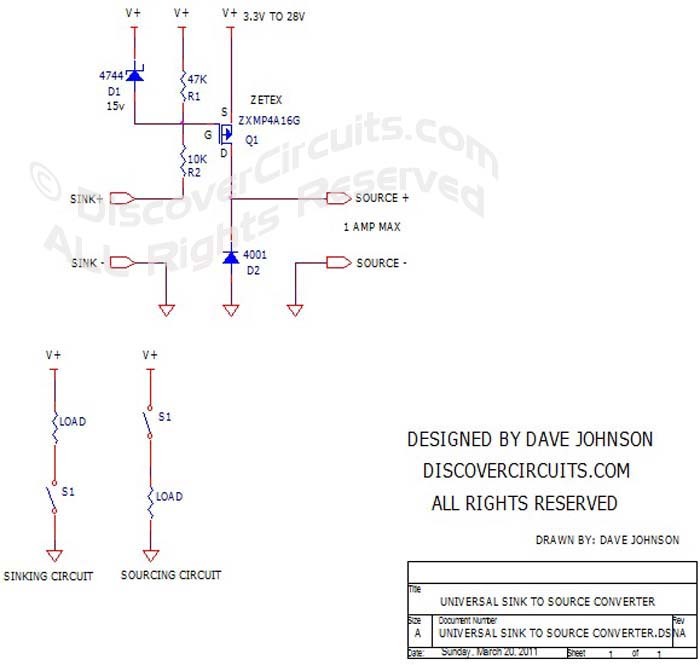 With the components shown, the circuit will operate over a wind 3v to 28v range with a current up to 1 Amp.